ecruitment notice has been published by Mutual Trust Bank Limited. 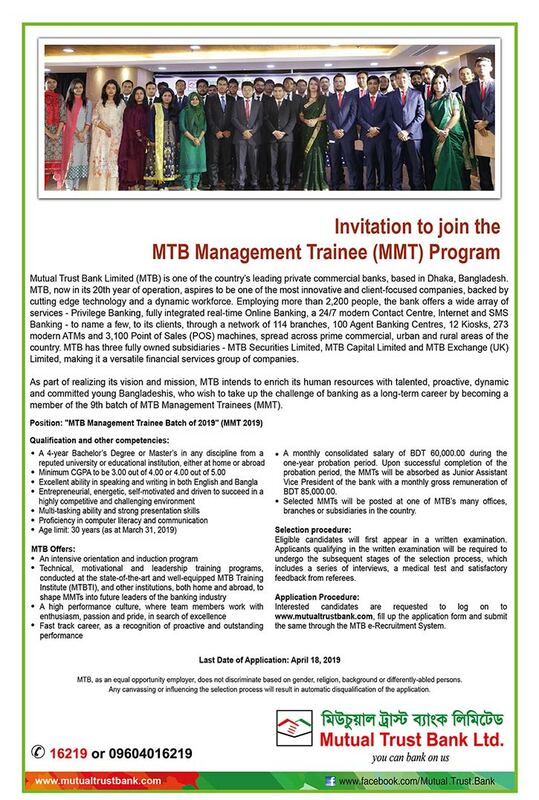 The bank will be appointed as the 'MTB Management Trainee Program'. Both men and women can apply. Minimum graduate pass candidates can apply for any position from any recognized university or institution. Must have at least four years of experience in the previous work of the candidate. With Microsoft Office requires job skills. Age should be 30 years. The selected candidate must have the mentality to work anywhere in Bangladesh. At the entrance stage 60 thousand taka salary After successfully completing the entrance stage, the salary is Tk 85 thousand. 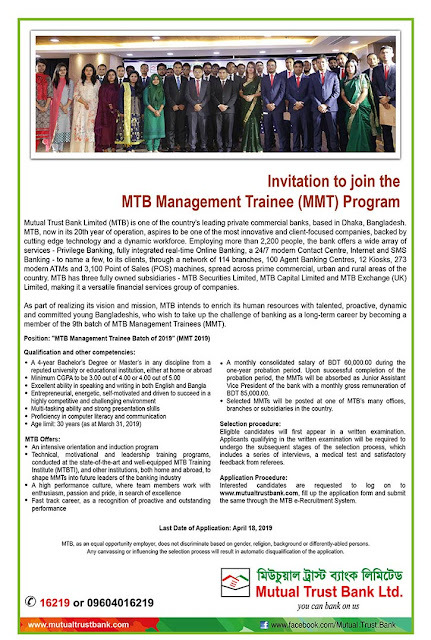 Interested candidates will need to apply on the website of the Mutual Trust Bank (www.mutualtrustbank.com). Apply on April 14, 2019.